Really good Hostel !!!! ... I really enjoy stay in this hostel, stay for 6 days cus I can live!! !, all the staff is realy friendly and the have Aloha party on thursday with DJ, is really clean and safety places, and here you meet lost of friends, we higly recomend this hostel !! Special promotion!!! paid 3 nights and take 4 the last night Free !!! (just in 10, 8 beds dorm) / Free Pick Up service (See inside for details) HOSTEL AMIGO, WINNER OF THE AWARD BEST HOSTEL IN MEXICO AND 2nd IN NORTH AMERICA IN 2005 AND TOP 10 HOSTELS IN THE WORLD OF JANUARY 2005 is a hostel to be found in a Colonial building more than 350 years old !!! 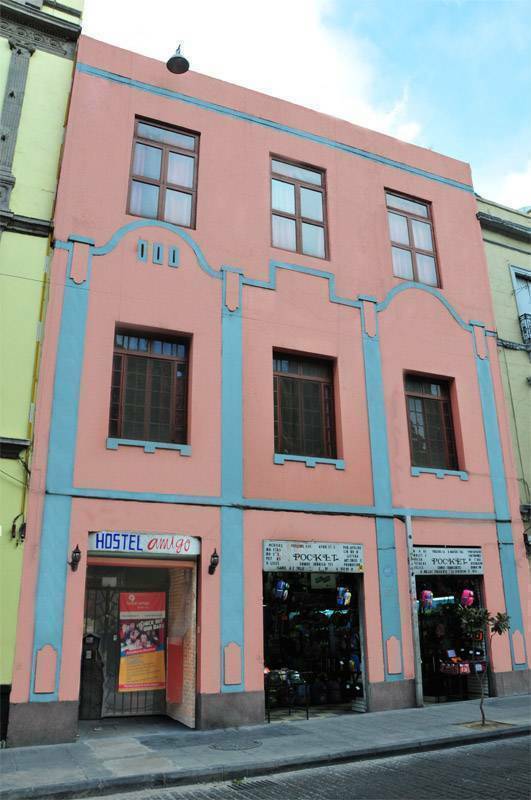 Located in the heart of the historic district of Mexico City (Downtown), in one of the safest streets, and within walking distance of the principal attractions, including the Metro subway system. We are gay friendly Hostel. Must be a 3 consecutive night stay. This service can’t change for drop off. We do have the pick up service, its necessary for you to call us on the day of your arrival . you just need to make the phone call from any public phone booth AFTER you pass the custom and migration area, so we can send you our taxi. BREAKFAST : An excellent variety of Mexican options to start your day, such as: Chilaquiles, quesadillas, Mexican style eggs, cereals, fruits, milk, tea, coffee, and much more. INTERNET: Included in price, available 24 hours. Our facilities include 154 beds, kitchen, free short term luggage storage, tourist info, movie time at the bar. We provide a comfortable and friendly environment, with multi-lingual staff that will help you in anything you need to make your visit to Mexico City a memorable experience. From museums and local attractions to dining spots and nightlife recommendations. Our staff will be there to help you plan your travel through this wonderful country. 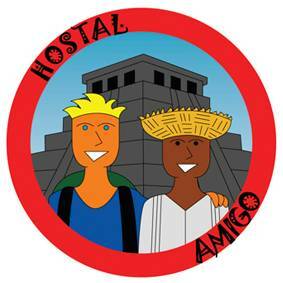 The Hostel Amigo boasts a perfect friendly environment to meet people from all around the globe and share great experiences. We look forward to having you in Mexico, Amigo! For any Changes/Cancellation, it must to be notified by email at least 48hrs in advanced (at the prior day, by the morning). Any Changes/Cancellation within less than 48hrs period will be fully charged at your Credit Card for the 1st night accommodation at the current day rate.